people come into our lives to teach us how not to love. How not to settle, how not to shrink ourselves ever again. 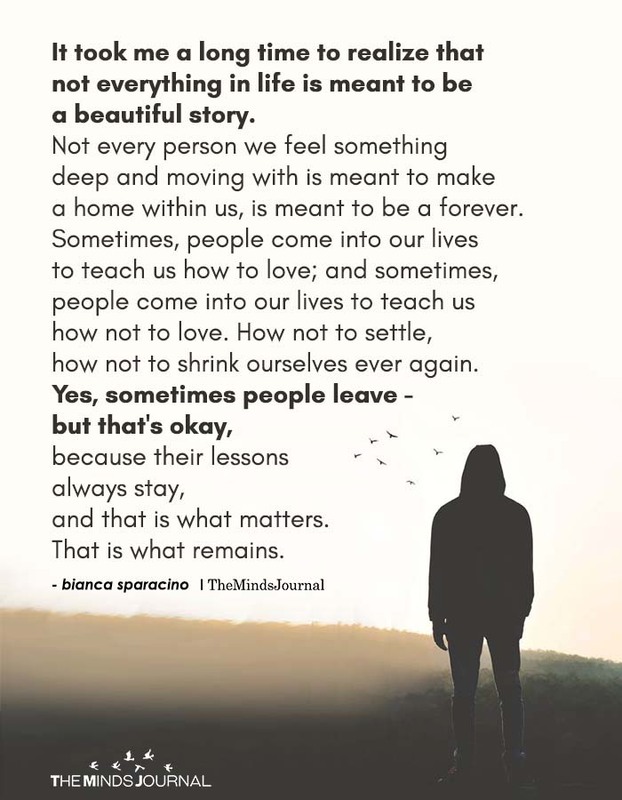 because their lessons always stay, and that is what matters. Really, really nice quote, I can relate to it, so real. It’s ok when some leave. But never ever Ali!! True. Don’t open up yourself to everyone. There are fiends out there looking for an opportunity to tear you apart. Don’t make yourself vulnerable to them. Don’t expose cracks in your armor. Open up only to those who trust you and who you trust.